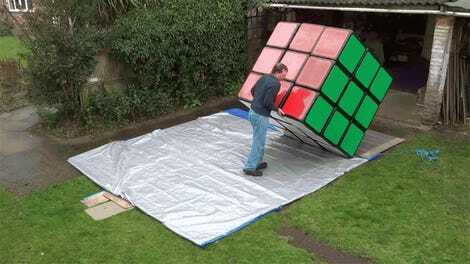 About a year ago last march, a robot called the Sub1 solved a Rubik’s Cube in 0.637-seconds, earning it the Guinness World Record for being the fastest cube-solving bot. That honor now appears to be in jeopardy, however, as a pair of engineers have demonstrated a new robot that can solve a Rubik’s Cube in almost half that time: a mere 0.38 seconds. 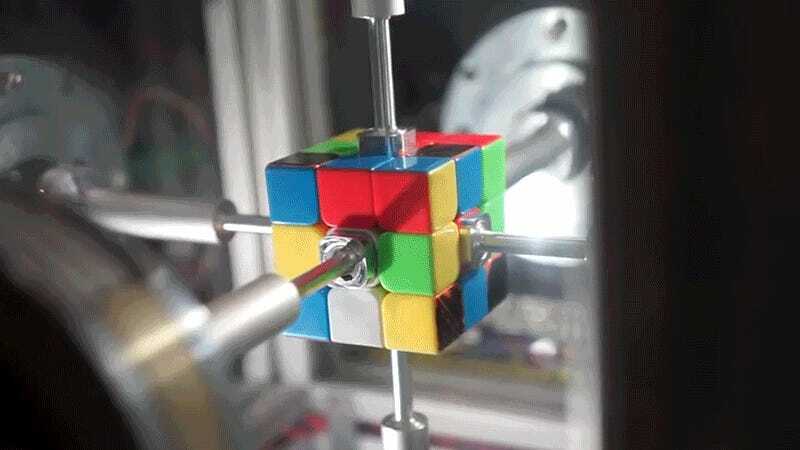 According to the blog that Ben Katz and Jared Di Carlo created to show off their ‘Rubik’s Contraption’, the bot relies on six Kollmorgen ServoDisc U9-series motors—often used in high-precision, high-speed robot arms—to manipulate the puzzle cube at blinding speeds. 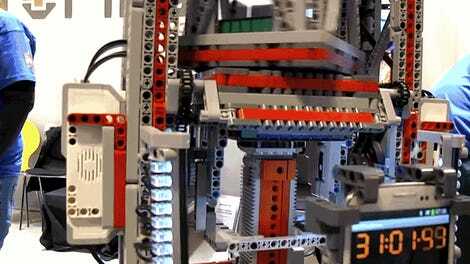 To the naked eye, the movements are nothing but a momentary blur of colored plastic quickly coming into perfect order. 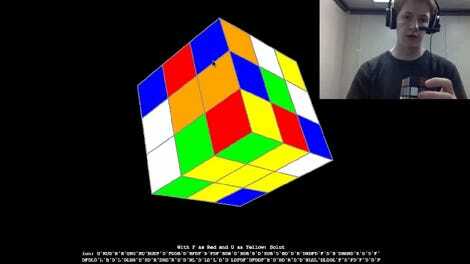 The Rubik’s Contraption also uses a pair of PlayStation Eye cameras to analyze and calculate an efficient solution to a mixed-up Rubik’s Cube before it ever makes a single move, which helps contribute to its speed. The creators say they have also developed special controllers for the robot’s six motors to ensure that only one is moving at any given time. 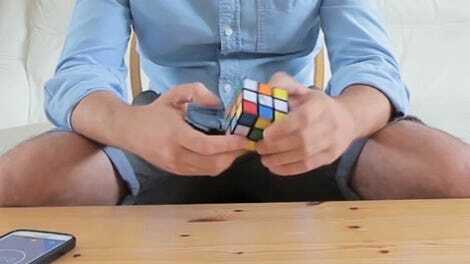 If the movements of the motors happen to overlap, even for a hundredth of a second, it will simply tear a Rubik’s Cube apart, as demonstrated below. 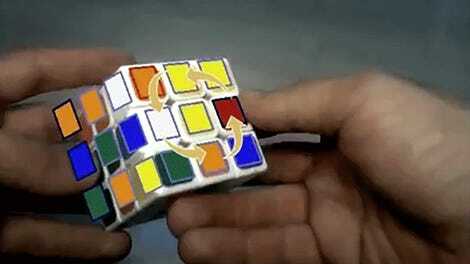 Katz and Di Carlo’s robot hasn’t been reviewed by Guinness World Record officials yet, which is unfortunate, because the creators claim it could solve a Rubik’s Cube even faster than 0.38-seconds. Improving its efficiency, however, apparently requires time-consuming debugging, which the pair seem less interested in doing just to earn a fancy piece of paper and 15 additional minutes of internet fame.